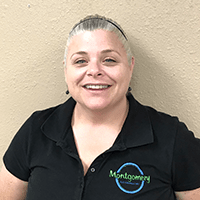 Montgomery Exterminating is a family owned and operated pest control company that has been protecting Oklahoma homes and businesses from pests since 1989. We are committed to providing personal and quality service and offer dependable, flexible, and effective pest management solutions. In Tulsa, there are only eight companies authorized by Dow AgroSciences LLC for Sentricon, and we’re one of them! 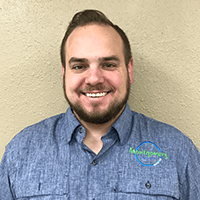 In fact, Montgomery Exterminating was involved in the limited introduction of the Sentricon Termite Colony Elimination System and worked directly with the Department of Agriculture and Dow AgroSciences LLC for approval of Sentricon in the state of Oklahoma. Our pest control technicians are highly-trained professionals who have over 40 years of combined experience in the pest control industry. Additionally, all technicians employed by Montgomery Exterminating are active in continuing education throughout the year and are trained to recommend and perform the best treatment procedures for the pest control problems Tulsa area homes and businesses often have to contend with. Duane founded ME on May 1, 1989 and has served as the owner, operator, and technician in those first years. Duane has been active in the pest control associations at both local and national levels, has attended several NPMA meetings, and has also taken part of Legislative Day in Washington D.C.
Away from work, Duane enjoys hunting elk in Colorado, New Mexico, and Montana. He also spends time at his hunting lease closer to his house. Duane is the proud “Poppa D” to two grandsons and two more little guys at the end of 2017. A part of ME from the beginning, Mitzi’s full-time job was raising their two daughters but she managed to get to the office once a week to do payroll. As the girls got older, her time in the office increased. After attending college at Oklahoma State University, both Mitzi and Duane’s daughters, Nikki and Kate joined the team at ME until they left to focus on raising their own children. Mitzi has attended NPMA and ServicePro meetings on a regular basis. Mitzi enjoys running, traveling, and spending time with her family. Her two grandsons are the apple of her eye, and she’s anxiously awaiting the arrival of two more grandsons at the end of 2017. 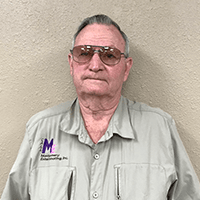 With Montgomery Exterminating for over 25 years, Richard has over 40 years of industry experience. Richard is married with one daughter and one grandson who is his pride and joy. Mark has been with ME for over four years and even though we consider him our “young guy”, he has several years’ experience in the pest control industry. Mark is a huge Ohio State and Thunder fan. If he isn’t watching or attending sporting events he likes playing softball on an intramural team. Penny is the newest technician to join ME. She always has a smile on her face. Our clients love her laughter and eagerness for good customer service. Penny grew up in Oklahoma and is a mother of three. She is dedicated to starting her day working out at Boot Camp.